What better way to spend your summer vacation ... or retirement ... than to eat your way across America. Here are seven great Cheese Trail destinations. And, for nearby public campgrounds, at the end of each posting, look for links to the State Parks. 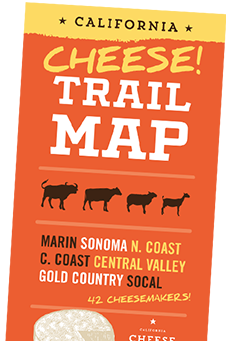 California Cheese Trail -This site offers a California Cheese Trail map and the California Cheese Trail app. It promotes artisan cheesemakers and family farmers. 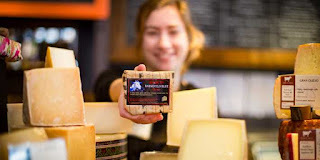 It’s the only project/website that connects people to the cheesemakers, their tours, cheesemaking classes and cheese events throughout California." Check the map to design your own tour or pick one of various regions, find a tasting, class or cheese event near you, find cheesemaking supplies, private classes, online cheese sales, FAQ, and the latest blog. Link to California Parks and Recreation. Connecticut Cheese Trail - This "unofficial" site is the project of a proud cheese lover in Connecticut. It lists his/her visits to the cheesemakers, and hot links to their websites, around the state. Link to Connecticut State Parks and Forests. Finger Lakes Cheese Trail - This is a group of working, family farms in Upstate New York, that create a variety of artisanal cheeses. Total time to do the complete trail: Requires 3 days comfortably, 2 days if in hurry. Easiest way to do Trail in a day is pick 4-5 creameries near each other, and make that group your day. North Carolina Cheese Trail -This Facebook page features North Carolina cheesemakers and cheesemongers who are joining together to garner more attention for artisan cheesemaking in their state. Link to North Carolina State Parks. 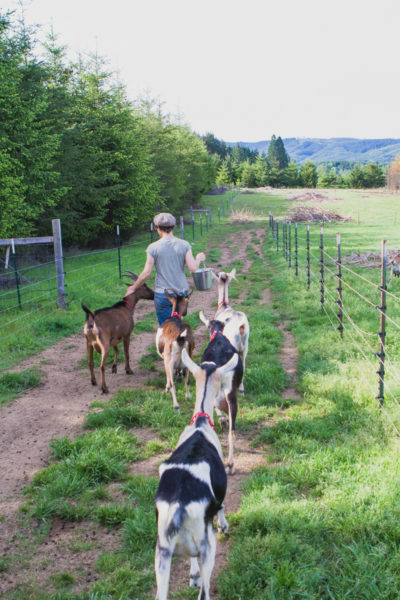 Oregon Cheese & Food Trail - The Oregon Cheese Guild invites RVers to: "Take an epic road trip through our lush green valleys and coastal fields and taste for yourself. Our 20-plus artisan cheesemakers use science and artistry to turn fresh local milk into some of the finest cheeses made anywhere. "And what else pairs with cheese? How about beer, chocolate, charcuterie, honey, fresh bread, preserves, or any one of the dozens of taste bud encounters also included on the download map." Link to the Oregon State Parks. Vermont Cheese Trail - The Vermont Cheese Council represents cheesemakers throughout Vermont who are dedicated to the production and image of premier cheese. Their mission includes hosting educational events for the public and food professionals in order to learn more about the art and science of artisan and farmstead cheeses made in Vermont. Link to the Vermont State Parks. Some 60 Wisconsin "artisan cheesemakers are currently producing more than 600 different types of cheese, including hundreds of complex, one-of-a-kind artisanal, farmstead and organic varieties made by hand in small batches," according to Wisconsin Cheese Tour. "Couple that with farmers’ markets, restaurants featuring regional ingredients, farm-fresh breakfasts at the local B&B and tours of the breweries and wineries producing cheese’s most complimentary beverages – and you have an epicurean’s dream getaway." The site pinpoints the "best sights, stops, tastes and tours for this culinary journey. 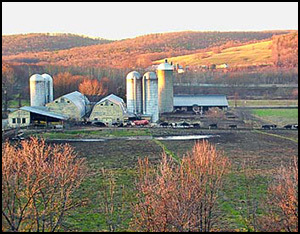 Just use one of two itineraries as a starting point and begin your taster’s tour across Wisconsin." Link to Wisconsin State Park System. To read more articles about the RV lifestyle go to RVWheelLife.com.